Mr. Rogers changes lives, despite what Fox News would try to tell you. To watch this year’s breakout documentary about Fred Rogers, Won’t You Be My Neighbor, is to sink into its closing credits with the feeling that, yes, goodness is real and, yes, humans are still capable of it. And while the documentary would’ve sufficed on its own, Rogers’ life is also getting the feature treatment with Marielle Heller’s Tom Hanks-starring, as-yet-untitled movie. Hanks’ casting generated quite a bit of positive buzz, as, across decades, the actor has exuded his own kind of doofy, warm-hearted grace. Now, thanks to a tweet from Sony Pictures, we have our first wistful look at Hanks as Rogers. 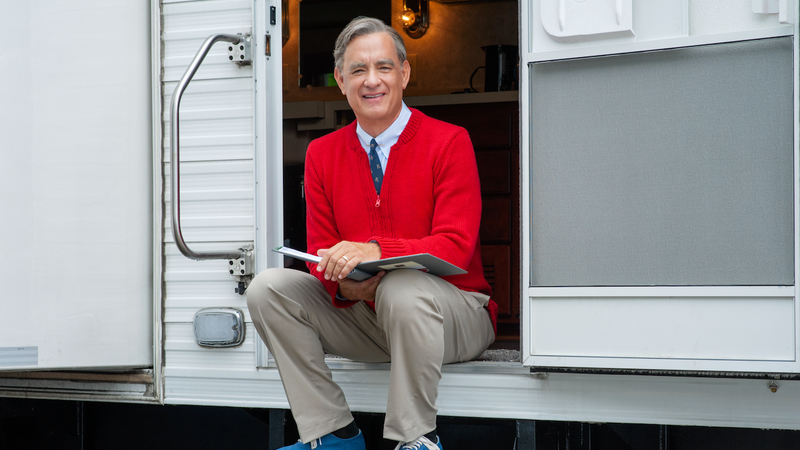 The red sweater, the sneakers, the hair—it’s on point, even if Hanks the man isn’t a dead ringer for Rogers. She also asserted the film is “not a biopic,” but rather the story of a reporter who forms an emotional bond with Rogers while profiling him for a magazine. “In the research for the movie, the writers found that more people than they could possibly count credited Mr. Rogers with changing their lives,” she said. The tweet also reveals a release date for the film: October 2019. That’s a long wait, but you could stand to watch Won’t You Be My Neighbor a few more times in the interim.